When you are in a family, you want to go and do things like family vacations and holidays with the kids. My second husband and I had a blended-family of his, mine, and ours. His two sons, my daughter, and our two little boys. 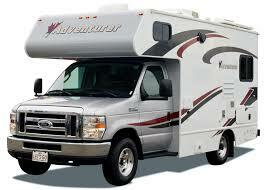 So we bought a motor home, like the one image here, envisioned our perfect little excursions and made plans! One stop was to my mothers house in a sleepy little lakeside town, pop. 300. It really was a nice little place, we parked in my mom’s yard and walked the couple blocks to the lake and beach. As nice as this was, I could not take my eyes off of them, there was nothing baby-proofed in the outside world, there were no fenced areas or bubble wrap. My then-husband was watching our little boys when I was doing laundry (holiday for who?) and I thought it was really quiet out there, but hey, my husband was out there wasn’t he? I went out to the back yard, see my mom and husband sitting on lawn chairs, but the boys were no where! I ran out to the road and saw them about 4 houses down, nearing an intersection! 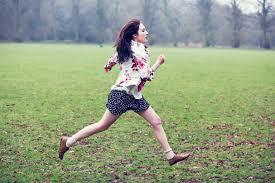 I sprinted! I didn’t know I could still run, but I think I broke the land-speed record. I got the boys and walked back to our back yard, my mind racing with shock and anger. Of course, my husband and mother saw me come out of the house, look around and start running, so no explanation was needed for that. And I was furious! My idiot actually had the nerve to say that it wasn’t his fault, that I wasn’t clear when saying I was going in the house to do laundry. Really?! A little piece of me hated him that day, and still does. Things like that show you that moms really do all the work. Pay all the attention. Attend to the details of household and child rearing duties. That men can really be useless. After that, we sold the motor home, I told him that I wasn’t going traveling any more. I would rather sit in my baby-proofed back-yard with my kids and sit on a lawn chair and actually glance at a book. Needless to say, we did divorce later. Here’s a post and example men that just don’t go the extra mile when taking care of business, with my ex’s not working on the family van, although they were mechanics. You can holiday in your own backyard with these awesome free or really cheap ideas for family fun.